the year, how can it not be with all those delicious dishes! My favorite part of the big meal though? The leftovers. very busy Christmas season and into the New Year. crust is done and it is bubbling – super easy! 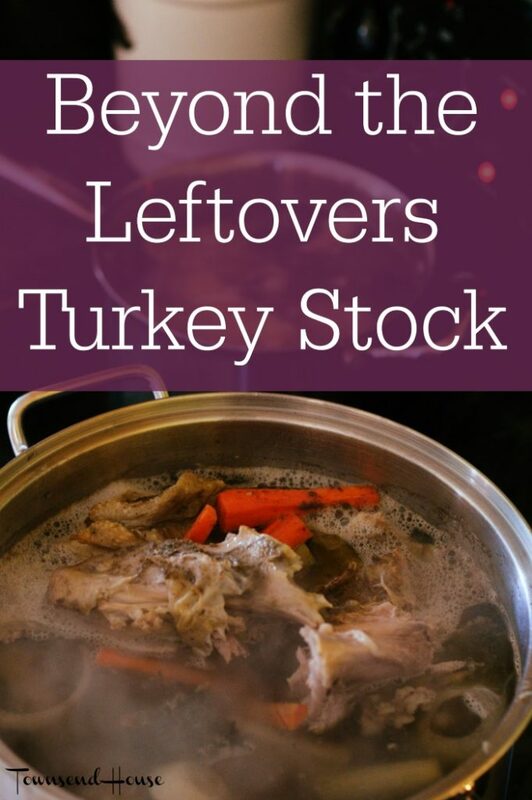 though, is to make turkey stock. But, I do love a good bone broth in the winter. time to release all the great nutrients. leftovers? Do you make bone broth? I love making stocks! And turkey stock is great! Have you ever tried bone broth? It's supposed to be SUPER beneficial health-wise! Any time I have a turkey or chicken dinner, I make a bone broth. Best way to stretch out another meal! I've heard great things about bone broth. I'll have to try it next time we do a turkey. We didn't have thanksgiving at our home this year so we couldn't bring home any leftovers. Bummer I know!! This looks so good!!! I only made bone broth from chicken so far. This is definitely something to keep in mind! I love to make homemade stock! My favorite it to buy a rotisserie chicken and throw the bones and some veggies in the crockpot to make stock! My favourite part of any meal is the leftovers too. What a great idea to make it into stock instead of wasting it. I just used my turkey stock last night to make soup! I used the juices from the roasting pan as a starter. There is something so comforting about a bone broth, made right in your home, with succulent veggies and noodles added later. I need to give this a try, as I have some turkey bones in the fridge right now. Usually we toss them out, but I love the idea of this. I have never, ever made my own broth. I always just buy it. However, this bone broth sounds simple to make and so great for battling all those germs in the winter months! I made bone broth and we had a couple days of leftovers. 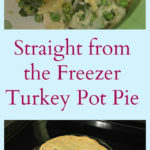 Next week I'll make turkey pot pie or soup. It's always yummy! I too love Thanksgiving leftovers. I never really get tired of them because they're only around a few days of the year! This sounds amazing! 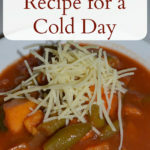 I will have to try this, I am tired of the same old turkey leftovers so this sounds great! oohhhh this is something I will have to do. My mom loves to cook ham and turkey on Christmas. We do a bone broth from the ham bone, and add beans to it. The most delicious part of the ham! !